Fir Trees Guest House015394 42272work Guest HouseHere at Fir Trees, your hosts Vicki and Tim extend a warm and friendly welcome to their guests at this spacious family run Guest House. 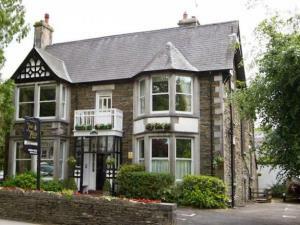 Fir Trees is situated on Lake Road between the villages of Windermere and Bowness, both just a short walk away. There is good access to public transport, and it is within walking distance of both Windermere station and the Lake itself. Fir Trees also offers easy access to the local shops, cafes, pubs, restaurants and local attractions. 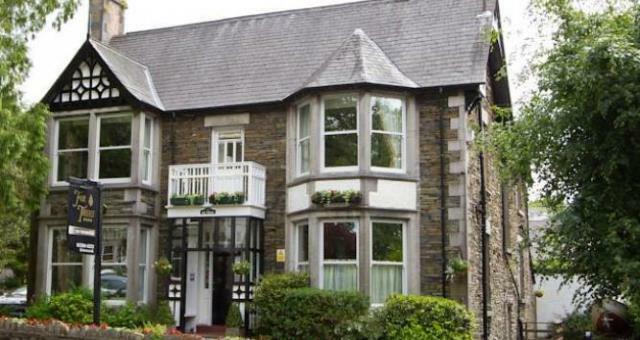 Fir Trees has nine good sized double/twin or family rooms providing flat screen TV's, personal fridge, tea and coffee making facilities with a homemade tray bake, luxury toiletries by Salvatore Ferragamo, bath robes, complementary use of the leisure facilities at the Old England Hotel in Bowness and free off-street parking. Dog friendly rooms are available by prior arrangement. We also have a private garden area. Freshly home cooked breakfast is served between 8:00 and 9:30 using mostly locally sourced produce. Here at Fir Trees, your hosts Vicki and Tim extend a warm and friendly welcome to their guests at this spacious family run Guest House.